This quarterly release [pdf] presents statistics on the roll-out of smart meters in Great Britain. 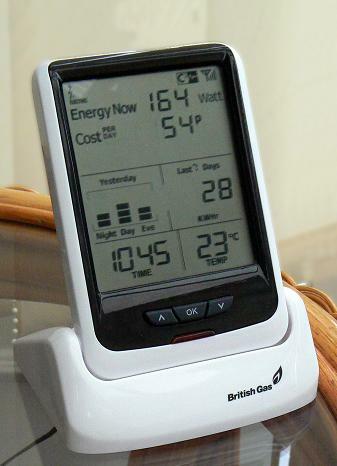 It includes information on the number of smart meters installed by the larger energy suppliers (i.e. British Gas, EDF Energy, E.ON, Npower, Scottish Power and SSE) in properties in the last quarter and the total in operation as of 30 June 2013. The Smart Metering Implementation Programme is being delivered in two phases: the Foundation Stage and mass roll-out. During the Foundation Stage, which began in March 2011, the Government is working with the energy industry, consumer groups and other stakeholders to ensure all the necessary groundwork is completed before energy suppliers start the mass roll-out. Mass roll-out is expected to begin in Autumn 2015 and to be completed by the end of 2020. Further information can be found on the GOV.UK website. The larger energy suppliers are currently installing smart, smart-type and traditional meters in domestic properties and advanced and traditional meters in smaller non-domestic sites (an explanation of the differences between these meters is included on page 3 of this document). 80,600 smart meters (45,500 electricity meters and 35,100 gas meters) were installed in domestic properties in quarter two 2013 (Chart 1 and Table 1). This compared to 23,600 smart meters installed in quarter one. A total of 107,500 have been installed to date. 89,400 smart meters are now operating in ‘smart mode’ in domestic properties across Great Britain (Table 2). This represents 0.2 per cent of all domestic meters. 29,000 advanced meters (28,700 electricity meters and 300 gas meters), which meet the roll-out obligation were installed in smaller non-domestic sites in quarter two 2013 (Chart 2 and Table 1). This compared to 33,900 advanced meters installed in quarter one, and continues the fall seen in recent quarters. 520,000 advanced meters are now operating in smaller non-domestic sites across Great Britain (Table 2). This represents 18.5 per cent of all smaller non-domestic site meters. For all references to Tables and Charts, please refer to this quarterly release [pdf].